Some people asked us directly on return what our next adventure would be about. “What’s the next challenge?” they asked. “Each moment of life has the possibility of being a challenge and an adventure, if you so choose.” was our predictable answer. We’re expecting a baby in December! This is our biggest adventure to date. 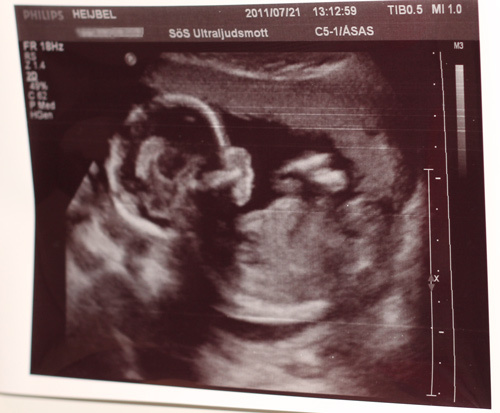 Amanda has been struggling with nausea and puking during 4,5 months now, and hasen’t been able to work much, though we’re nearly halfway through the pregnancy. This has been a great challenge for Amanda, as she has not been out or even seen much besides the bed and the toilet. We’re pretty sure it will be worth the struggle x 1000 though, and can’t wait for this years Christmas to come around and expand our little family. We’re planning on moving to Gotland within a few years, and so we’re keeping an eye on the housing market. 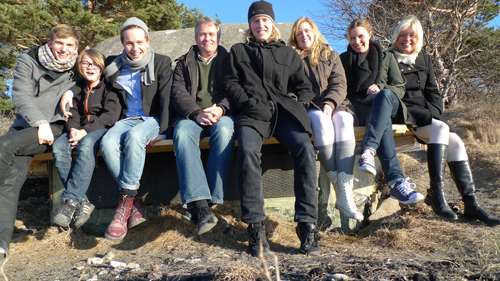 We wish for our child to have the privilege of calling Gotland her/his home, just as we’ve had. Inspired by the HelpX and WOOFing community, we’re planning on getting a big house somewhere on the country side. Now, it won’t be expensive and it won’t be pretty but it will be a fun project! And guess what? You’re all invited. This geographical move will certainly result in a big pile of new challenges that need to be completed! And what an adventure :) ! For starters, we don’t even know if we’ll be able to find work on Gotland, or how we’re going to solve that potential issue. Only time will tell. This certainly doesn’t mean we won’t keep traveling, blogging etc. Writing about our future journeys as a family will probably be even more relevant and just as interesting. Now we’ve heard that Niall is about to start his long journey, that Andra and Razvan are moving to China, and Breno is back (and blogging!) in Brazil. This entry was posted in Missions, News on July 27, 2011 by mangomanjaro. Inspiration: Acrobat of the Road! Acrobat of the Road is a blog by Juan and Laura. Juan became a hitchhiking nomad on May 1st 2005 and has been traveling ever since! He has been to Europe, Middle East, China, Tibet, India, Laos and Thailand! He somehow ended up in Argentina and met his life mate Laura. Now, they are attempting to hitchhike from Antarctica to Greenland! Besides all the hitchhiking stuff (which is really cool and inspiring) they also have a project where they involve school children, villages and neighborhoods. They show pictures of other countries and have the ambitious and wonderful goal of generating empathy and intercultural understanding. “By sharing updated images of everyday life of the countries already visited we display world hospitality and transmit the fact that a better world is not only possible but actually already exists. Also, when addressing high-school level students we install the concept of travelling as a method to acquire knowledge and plant the seed of curiosity. 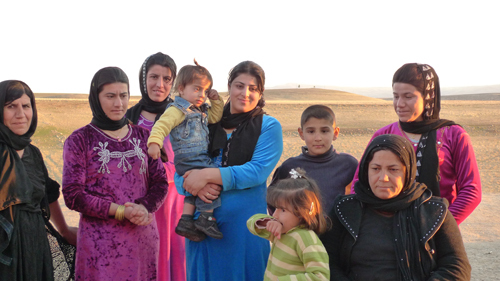 We think that this is an incredible project… and because of that we sent them an email! found your website through CouchSurfing. Really awesome project you’re up to. Acrobat of the Road: HI we are already in Bolivia! Thanks for your message! Mangomanjaro: We hitchhiked from Poland to Pakistan, and blogged about it at http://mangomanjaro.se . Now when we’re back home, we’re writing an article about you. Acrobat of the Road: About me? really? Go ahead! thanks again! Mangomanjaro: Do you have any specific images that you would allow us to use in the article? Acrobat of the Road: All of them are available to share in this case. Note I am not travelling alone, but together with my girlfriend Laura. Mangomanjaro: Are there any specific thoughts or causes that are more important to you than others? Acrobat of the Road: Check on the menu, you will find the whole idea is to portray world hospitality and write books to spread the word! 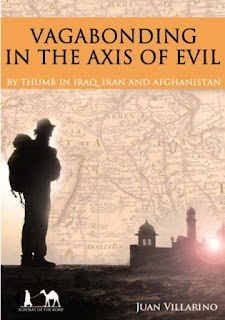 I would be really greatful if you could share a link to my e-book “Vagabonding in the Axis of Evil – By thumb in Iraq, Iran and Afghanistan“. Mangomanjaro: How did you come up with the idea to connect the south and north pole by hitchhiking? Is it a common concept in south america? Acrobat of the Road: It’s not a common idea. People normally go as far north as Mexico… The idea is to work out a book about the American continent, so that means going all the well. Alaska is too obvious so we decided to hit Greenland. That was the email conversation :) ! Check them out at http://acrobatoftheroad.blogspot.com, buy the book and send them an email! This entry was posted in Njaros of the World on May 14, 2011 by mangomanjaro. “How big is your house?” was a very common question we received in the Middle East. Time after time we answered that we don’t have a house, we live in an apartment and it’s only one room, 30 square meters big. Or small, if you like to think so. “Really?” They said, perplexed and confused. Thinking we must be rich, traveling around the world, and here we are telling them that our home is a one room apartment! It doesn’t fit in their picture of a rich person. What they don’t count in though, is that Swedes rarely live the whole extended family together, as they often do themselves. Of course they need a bigger house than we do, we’re only two! When two people are getting married in most Middle Eastern countries (and they do it like every day), the bride moves into the groom’s house with his family. If the family has many sons, they will expand more and more as each of them is supposed to get married and have children. Only the families with many daughters might shrink, since the daughters move out. In the Middle East, people simply see no reason for a person to move out before he or she gets married. So unlike Sweden where many teenagers already live on their own while studying. It sometimes happens that bride and groom move to a new home after the wedding even in the Middle East, if the father of the groom wants to buy them a house. If he can’t give them a house, he might buy them a car, “at least”, as a friend in Iran said. Let us assure you, we’ve written these facts down carefully to teach our parents the proper way of treating young lovers. Just as carefully as we’ve noticed that every person out of the 500-1500 on the guest list in a Middle Eastern wedding must bring an equal amount of gold as a gift. That couples in Sweden can live together and even have children without getting married, has been very hard for our Middle Eastern friends to understand. Same thing when we told them we only see our parents every now and then, not on a daily of even weekly basis. Male friends in Pakistan told us they prefer their mother to find them a good girl to marry, since the relationship between the mother and the bride is more important than his own relationship with his wife. Because the bride and the mother will spend a lot more time together. We learnt in Pakistan that a man’s worst nightmare is to come home from work and find his mother and wife quarreling. Marriage based on love is considered very unstable and weak, since love can come and go. “And if you already know each other, then what’s left to discover? Nothing!” This is very difficult for us Swedes to understand. We can’t think of any friends who would marry somebody after just speaking on the phone a few times. Most couples would live together for at least a few years first. But the family situation in Turkey, Syria, Jordan, Iraq, Iran and Pakistan has really inspired us. How highly valued the family is, and how close people stay together! 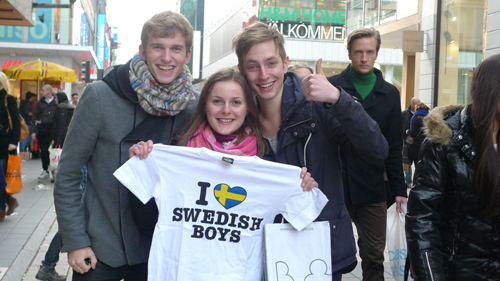 We actually try to meet with our families more often since we came back to Sweden. 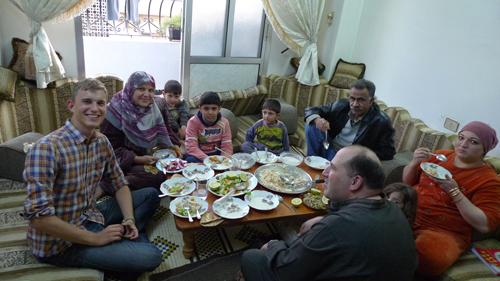 Except for the father-of-the-groom-paying-for-the-new-house and the every-guest-has-to-bring-gold-to-the-wedding-traditions, we probably found the importance of the family our most important lesson from the Middle East. It’s well worth to think through. Now – time to go to grandmother’s over Easter. This entry was posted in Active Traveling, Philosophy, Sweden on April 21, 2011 by mangomanjaro. Let’s talk about comfort and what it does to your mind. As long as you’re out on the road, you are constantly driven by very basic survival instincts. You’re looking for somewhere to stay the night, something to eat and new sights to thrill your already beating heart. You care for your visas, your rare Internet connection or for your stomach adjusting to the new food. All this helps you staying hungry for all the comfort you can get and all the new friends you can potentially meet. Everything is valuable. But once you’re back home, having a fixed shedule day by day, you run the risk of loosing your interest in new things. Luckily, we have the best idea for those who want to stay hungry and not fall into boring routines. We’ve said it before and we’re saying it again: Join CouchSurfing! Our first guest, only a few days after our arrival in Sweden (which was by then still a frozen country of ice and snow) was Breno Cola. Breno is our Brazilian friend who we met through this blog, and who later on started his own journey and ended up in Sweden. We had a great time together, eating dinner, driving around Gotland and sightseeing in Stockholm with Breno, who was fascinated by the beaches all white and cold and beautiful. 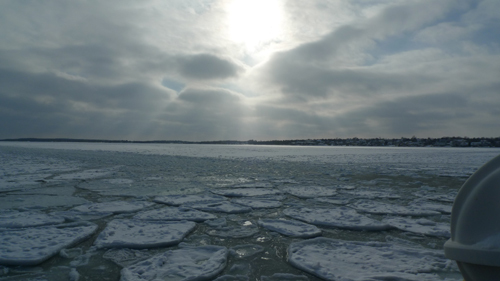 We never thought it was funny to walk over an ice covered beach, but Breno opened up our eyes. Brazilian beaches are hot and filled with tanning ladies in bikinis. All of a sudden we saw the wonder that Breno saw. 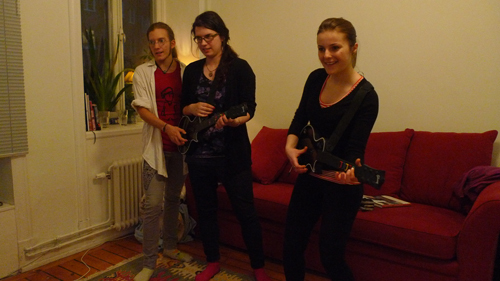 About two weeks after Breno left, we invited our first “real” CouchSurfers, Katrina from Poland and Michaela from Romania. It’s so easy to think that it is going to be tiring, or too crowded to squeeze in two more people at our 30 square meters. Why does it seem so different from when we’ve been the ones sleeping on couches all over the world? Well, the perspectives changes as your lifestyle changes. It’s perfectly logical, it is probably very normal and common too, but it is just as easy as everything else to change by one simple step. JUST DO IT. Bring people into your home! You don’t need to do it too often. Just give it a try, and find that it can be the greatest boost for yourself. Having CouchSurfers staying over really makes you see your own life through new eyes. We rarely feel particularly grateful for the drinkable tap water in Stockholm, but our guests from Poland made us aware of the fact that this is a privilege. We don’t notice how clean the streets are, but our foreign friends are amazed! It takes us two days back in Sweden to forget how rare it is that cars stop for you in a capital city, or that the air feels fresh, or that having supermarkets and bars and parks and our offices nearby are also luxury benefits. We would not ever visit all the interesting museums in our city if it wasn’t for our CouchSurfers. This actual exchange is in fact so eye opening that our minds are full of new ideas when the week starts over again. We’ve been traveling all weekend without moving. And the fear about our own comfort and privacy is far away since the very minute our guests enter our home. Is you apartment really too small? Or your schedule really too busy? Or is it just your comfort that is too high for your own mind to grow? Give it a try, invite a CouchSurfer, or put yourself available for coffee or a drink. Making new friends keeps your mind fresh, and you will find overwhelming appreciation from your guests. Plus when you eventually DO move, there will be couches waiting for you in other countries. Here you go once more: CouchSurfing.org – the easies way to fight your own comfort and let your heart grow! This entry was posted in Active Traveling, Philosophy on April 10, 2011 by mangomanjaro. Music is very important to us. It helps us understand, feel, move and it inspires us. Here comes five really good music creators from Sweden that you should know of! I started listening to ‘Fever Ray‘ after seeing this video. It’s just so tribal, Nordic and spellbinding. It will trigger your imagination! When I Grow Up from Fever Ray on Vimeo. ‘Pascal‘ consists of three persons. The sound is raw and rough and their lyrics sounds like mantras. And guess what? They are mantras! A few years back I heard an interview with Veronica Maggio on the radio. My reaction was: “What wrong with her attitude?” I couldn’t figure out until I heard her singing. She is something as rare as a Swedish soul singer, totally unique in voice and spirit. I want to add Dutch born Cornelis because he’s somewhat a Swedish legend within political music, and I always loved his music and creative lyrics. Unfortunately dead after heavy liver issues caused by massive drinking. Since her first hit song in 1995 when she was 16 years old, Robyn made her way (as 5 year old Amanda’s first and biggest idol). Artists who keep producing and developing this much during 15 years are rare. She just ROCKS! This entry was posted in Sweden on March 21, 2011 by mangomanjaro.